"Your projects seem to be true to the integrity and quality of the Ledden name to which we also became well accustomed while working with the team. Given how involved and well developed the projects happen to be, I hope they do inspire others to start working with you. We always keep Ledden in mind when opportunities arise to work with VOR-based agencies and this certainly won’t change in future. I know given my experience with Ledden Design, that your humble team is quite nimble and responsive!" 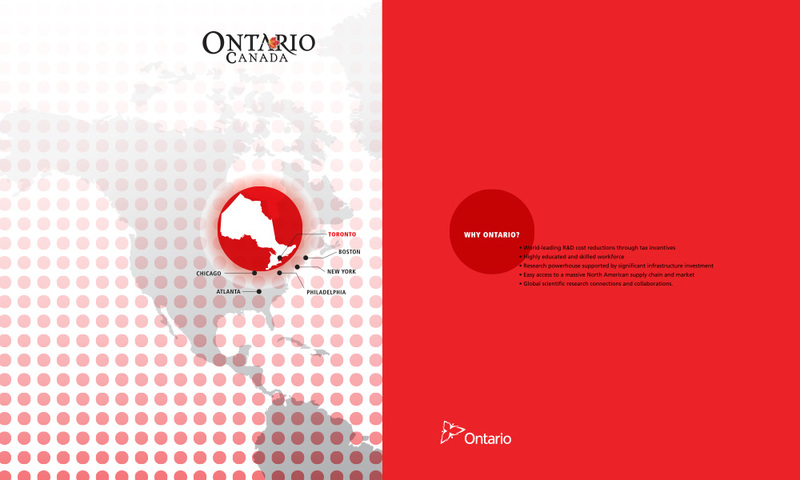 We were asked to create designs and communications that reflected energy and a fast-changing economic environment. 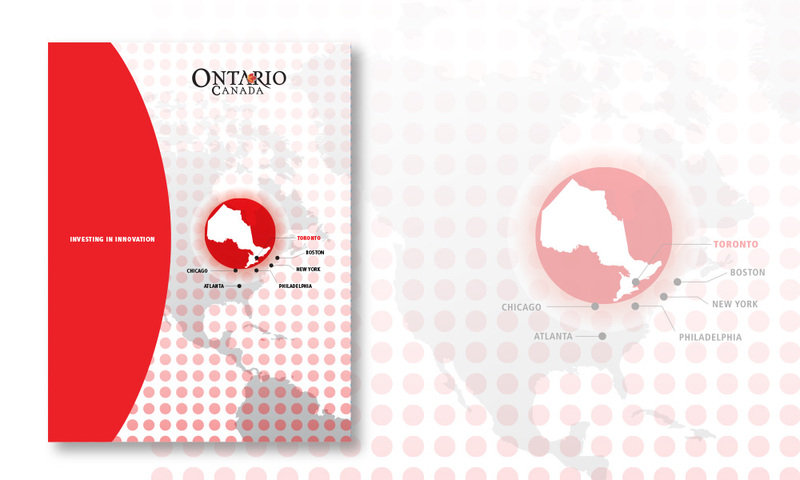 We designed a pocket folder for a conference in Chicago that focused on Investing in Ontario. Many projects required dealing with confidential information, changing requirements and entailing numerous editorial updates. We applied our strong design and project management practices to ensure we could meet the client’s needs.